Most real estate agents know that professional photographs are one of the best and most effective ways to sell yourself. Just as quality photographs are essential to selling properties, professional headshots and portraits are key to making a strong first impression. 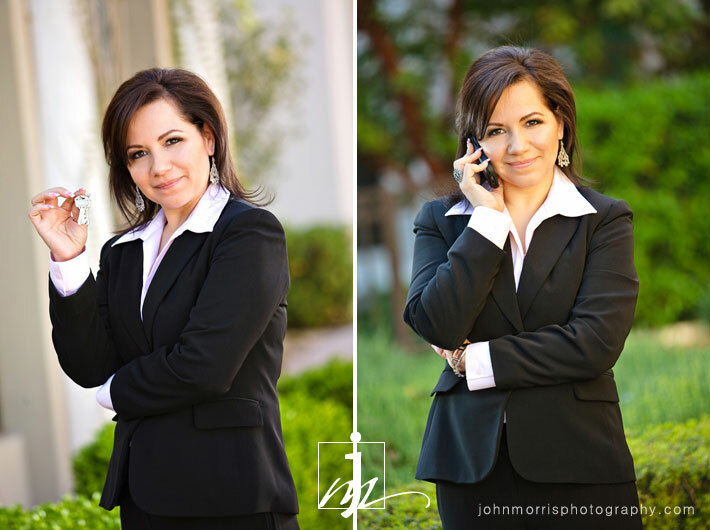 Vicky is a real estate agent here in Las Vegas who wanted high quality images that would convey her sense of professionalism. She knew that great photos could give her an edge over her competitors, so she spent some time searching for the right photographer that would deliver the natural, lifestyle image she was looking for. We were very flattered to hear that Vicky loved our blog and thought our work was some of the best out there. Working with Vicky was wonderful because of her gracious personality and professional persona. It’s nice to see someone working as hard as she is in such a challenging economy. In case you’re interested in taking advantage of a buyer’s market, check out Vicky’s website below. 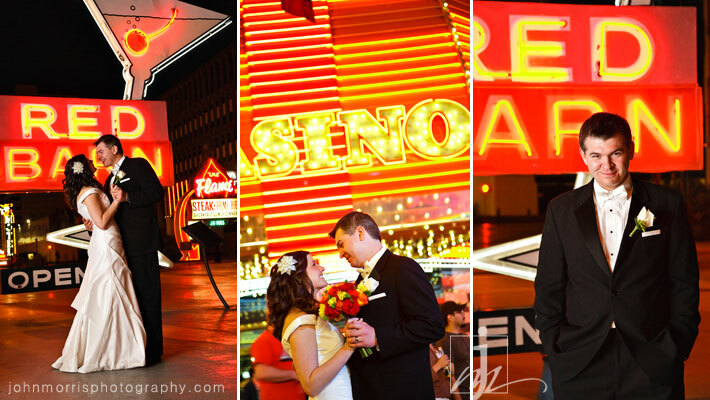 March is a great month for a wedding in Las Vegas. Crystal and Joshua timed it perfectly. 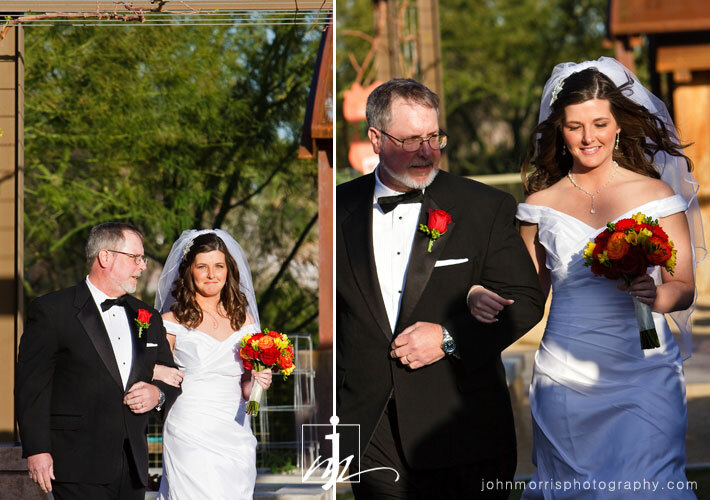 They got married this past weekend at the Springs Preserve in Las Vegas where the weather was a perfect 68 degrees. The weather wasn’t the only part of the wedding that was perfect. They had a wonderful group of family and friends and a beautiful ceremony at a very unique location. The Springs Preserve is an eco-friendly venue designed with desert sustainability practices in mind. 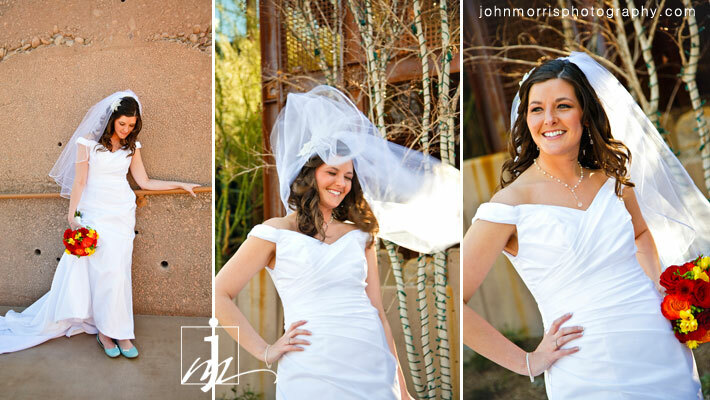 Michelle and Anisha from the Springs were exceptional to work with, as always. 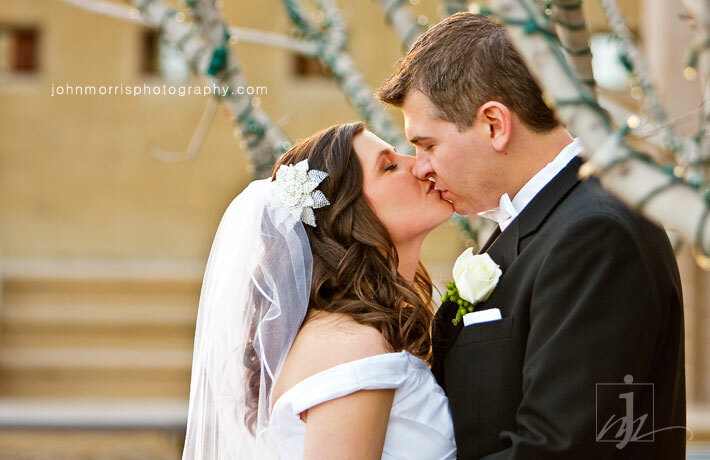 They provide excellent service and work hard to make sure every wedding goes as smoothly as possible. Of course, even with great wedding coordinators and lots of planning, some things just don’t go according to plan. For Crystal and Josh, the setback happened just days before the wedding when the groom’s wedding band was misplaced. Due to lack of time, they decided that they would just have to do without. 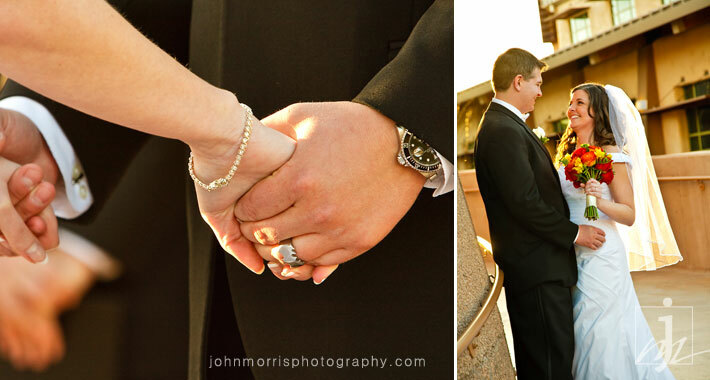 What Josh didn’t know what that Crystal and their friends snuck out before the wedding day and found the perfect replacement – a silver Batman ring – to surprise him during the ceremony. What could have been a major setback turned out to be one of the best moments of the wedding. I was genuinely impressed at how well Crystal handled the situation. After all, how many brides would have panicked if they were in her shoes? When the subject came up, she said that she was upset for about ten minutes, but then quickly realized it wasn’t such a big deal. That’s not what it was about, and whether or not they found the real ring later on really didn’t matter. Now that’s love. The bridal party at James and Tiffany’s wedding made a pop in gorgeous hues of purple, red, and pink. The wedding was held at Siena Golf and Country Club in Summerlin, which features a Tuscan-style clubhouse overlooking Lake Siena. The clubhouse also provides beautiful panoramic views of the Siena Golf Course as well as the Las Vegas Strip. It’s a wonderful venue for a wedding and offers plenty of picturesque scenes for photographs. 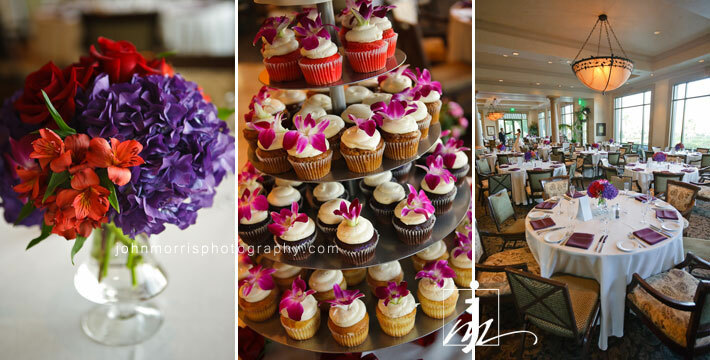 Besides lots of color, the wedding was filled with tons of emotion and positive energy from the couple and their guests. Among the guests in attendance was one of James’s close friends Daniel Negreanu, who happens to be the world’s top poker player. Tiffany’s father, who I have known for a long time, is also a photographer, which added to the pressure of photographing such an important day. 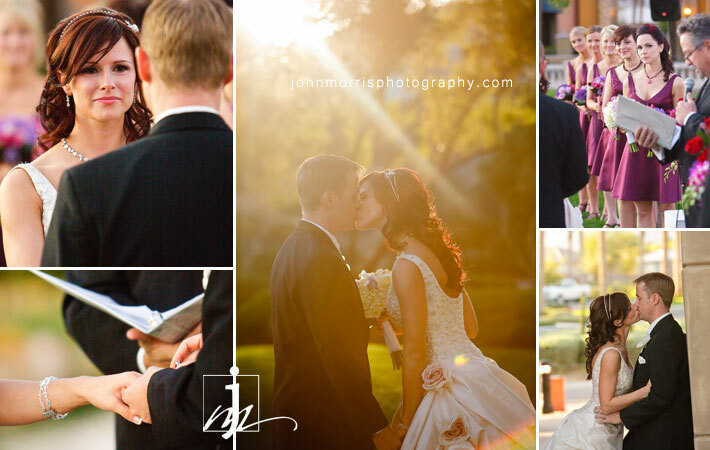 Despite the added pressure, we were able to capture tons of amazing moments and details of the wedding.